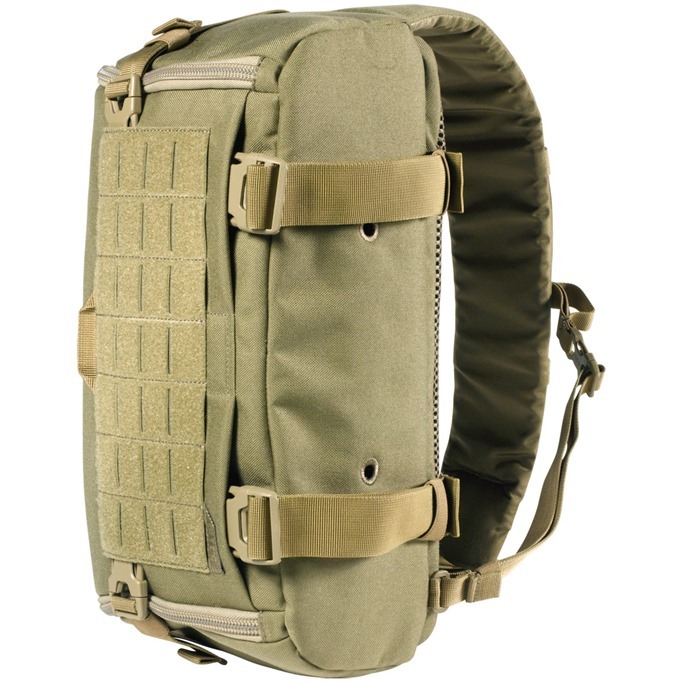 Ambidextrous UCR Slingpack from 5.11 Tactical comes with a drop-front opening with side retention lashes, loop-lined padded main compartment with stiffened back wall, inside pockets with bungee retention, front zip pocket, padded back zip pocket with elastic slots inside and mesh pocket at the back with Velcro closing. 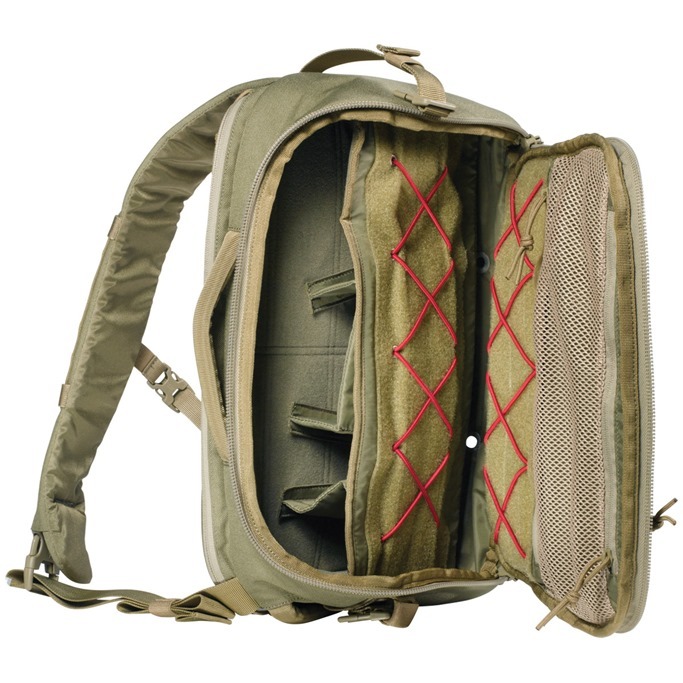 Padded cross-body stabilizing shoulder strap system and robust padded haul handles on top and side guarantee comfortable and easy carry. 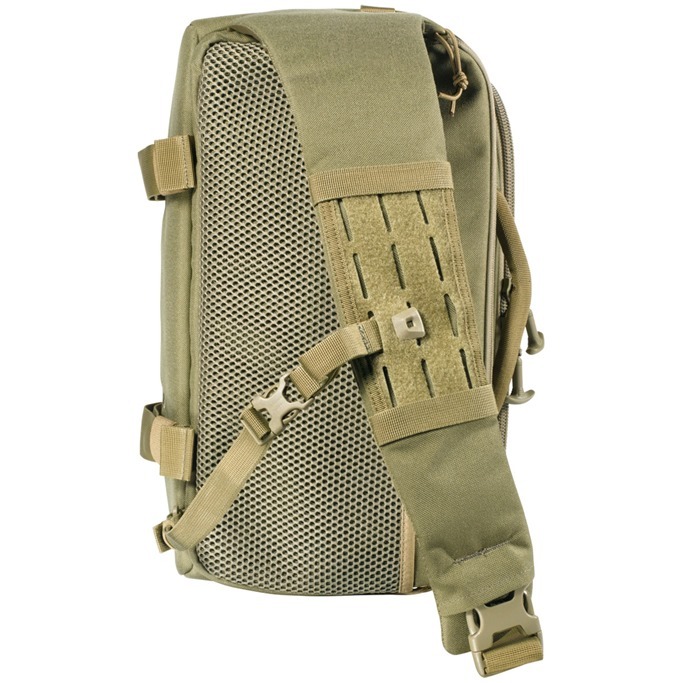 UCR Slingpack is made of abrasion and tears resistant 1050D nylon and features strong silent Duraflex hardware and sturdy self-healing YKK zippers.